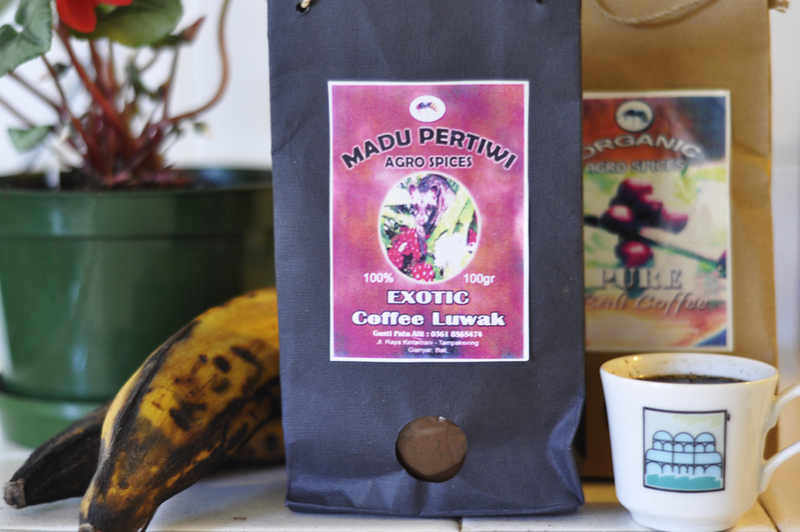 “Poop Coffee” or Kopi Luwak. Nothing wakes me up better in the morning than the scent of coffee brewing. I was a late bloomer, started drinking at 18. This was liberation for me, not beer or drugs, coffee. My first was in a Nescafe glass container which my grandma had me take a sip when my mom wasn’t looking. I had it on the streets of Vietnam; the spas in Turkey; the first Starbucks store; affogato style in Rome; my Nespresso machine. So, when I heard about this totally unique coffee from Indonesia, I just had to try it on a local farm close to Ubud, Indonesia. My friends called it “Poop Coffee” as I paid for the most expensive coffee in the world at around $50.00 for 100 grams. It’s not the berries that makes it unique, but the process as a mouse-like animal eats the beans, digests it for a few days before excreting it. Yes, someone thought of picking up the berries, dried, ground, brewed and then drinking it. Unfortunately, the experience of drinking it in the mountains of Bali is much more unique than brewing it at home on a Tuesday morning in LA. This entry was posted in Flash and tagged coffee, oddities, postaday, weekly photo challenge. Bookmark the permalink.